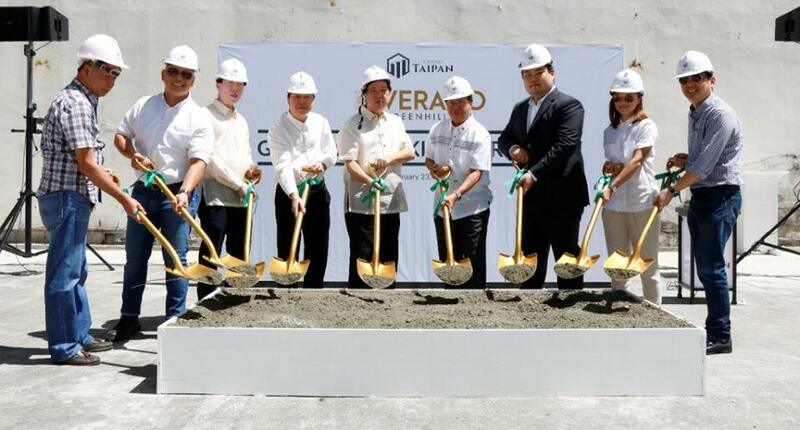 Real estate industry’s new entrant, Grand Taipan; breaks ground of Verano Greenhills, the company’s first and premiere residential condominium and serviced residence. Present during the event were (from left to right) San Juan City building official Ar. Romeo Gonzales; HBA Manila Director Ar. Norman Agleron; Grand Taipan executives; (6th from the left) Presidential Adviser on Investments Atty. Antonio A. Cablitas; Grand Taipan President Joeben Tai; Grand Taipan VP for finance Analyn Agabin; and Greenhills Brgy Chairman Alan Yam.